Soft Play Membership - enjoy one month free! Sign up for our soft play membership this February and we will give you March FREE! For only £16.00 a month*, your little adventurers can enjoy UNLIMITED fun in our three soft play venues across the city, as well as receiving exclusive member benefits throughout the year. This is a fantastic way to keep your kids active and entertained. You can choose to go somewhere different on every visit, with access to Clambers at The Royal Commonwealth Pool, Tumbles at Portobello and the newly refurbished Scrambles at EICA: Ratho. Our facilities are suitable for children up to 10 years old and we have dedicated baby, toddler and junior zones ensuring everyone has a safe and enjoyable time with us. There's friendly, helpful staff on hand too. Plus each of our venues has a cafe where you can enjoy healthy snacks and tasty treats with friends and family. 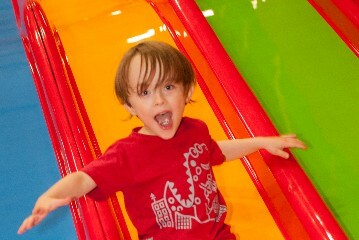 To join, simply pop into your nearest soft play venue! We have venues at Clambers at The Royal Commonwealth Pool, Tumbles at Portobello and Scrambles at EICA: Ratho. Refer a friend and get £16 cashback! How would you like to get £16 cashback? If you are an existing soft play member and you refer a friend who joins before 28th February 2019, we'll give you £16 cashback! And there's no limit to the amount of friends that you can refer. It's a great deal for your friend too. If your friend joins before 28th February, we'll give them March completely FREE! Don't miss out, to take full advantage of this offer, simply pop into your nearest soft play venue and we'll take care of the rest. An aquatic theme for kids to explore. Designed so parents can supervise easily and children can play freely all within a securely gated area. 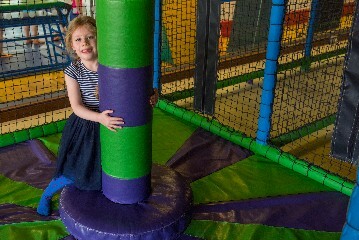 Our newly refurbished Scrambles Soft play has comprehensive zoned areas for babies, toddlers and younger children (up to 10 years). 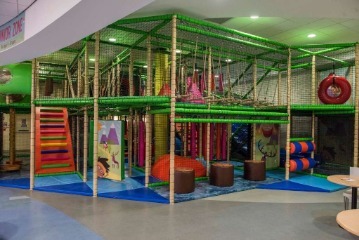 Children will have an amazing adventure with baby, toddler and junior zones designed over three levels. Suitable for children up to 10 years. Available to new members only or customers who have not had an active Edinburgh Leisure Soft Play membership in the last calendar month. Only available at participating Edinburgh Leisure venues. Existing Edinburgh Leisure soft play members who refer a friend onto a soft play membership during February 2019 will receive £16 cashback. Cashback will be paid directly into the existing member's bank account once the new member has made their first direct debit payment in April 2019. Existing member and new member must still be a current member on 1st April 2019.